The Australia Skilled Nominated Visa (Subclass 190) is one of the most popular options for skilled professionals who wish to migrate to Australia. This visa allows a person to live and work in Australia indefinitely. 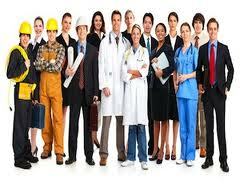 The Skilled Nominated Visa is a boon for many as it is a Permanent Resident Visa of Australia. The Australia Skilled Nominated Visa (Subclass 190) has a validity period of 5 years, and within this period, a person can visit and enter Australia any number of times. Similar to the Skilled Independent Visa (subclass 189), the Australian permanent resident status of a person is not affected if the visa expires. But, after the initial expiry of the Skilled Nominated Visa (subclass 190), a person should get a Resident Return Visa (RRV) to continue travelling in and out of Australia as a permanent resident. Depending on the number of years a person has lived in Australia, the eligibility for an RRV is determined. The Skilled Nominated Visa (subclass 190) is a points-based visa. The test is designed to choose applicants who possess the attributes and skills that will help the candidates to find a suitable job in an occupation that is facing a skills-shortage in Australia and matches the skills of the Skilled Nominated Visa applicant. The points are awarded on the basis of Age, education, work experience, English language ability, adaptability, etc. However, the most important eligibility to apply for the Australia Skilled Nominated Visa (subclass 190) is that the applicant must be either nominated by a participating Australian territory or state government or sponsored by an eligible relative living in Australia.